The Carlisle 521207 stackable tumbler has lugs inside it to prevent other glasses from getting stuck when they are stored together. 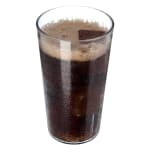 It has a 12-ounce capacity, which is ideal for tea, water, or soda. 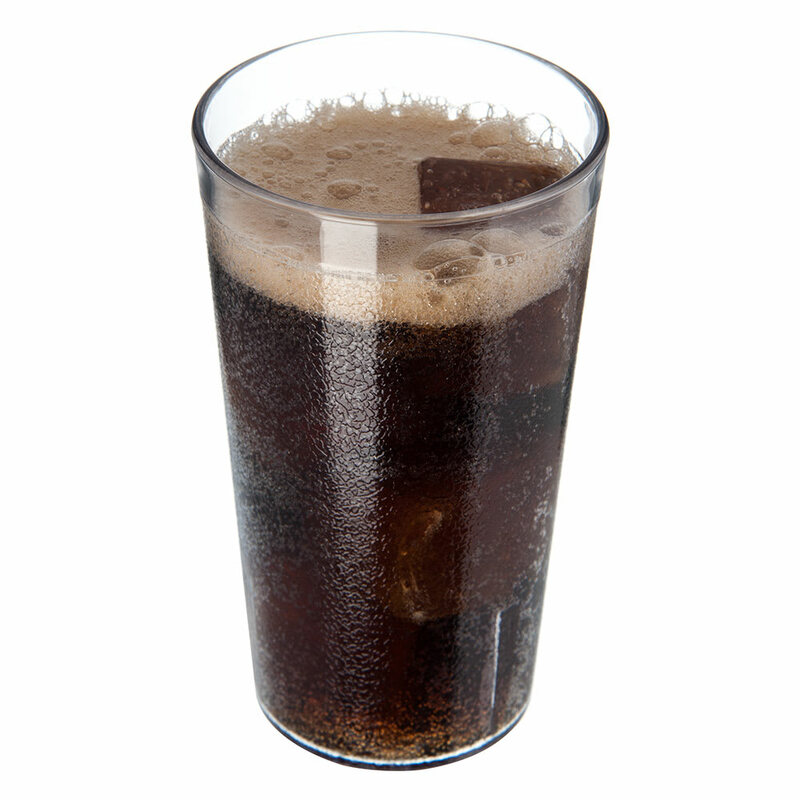 Made of SAN plastic, this glass withstands heavy, repeated use. With its textured exterior, the cup is easy to grip and lift. 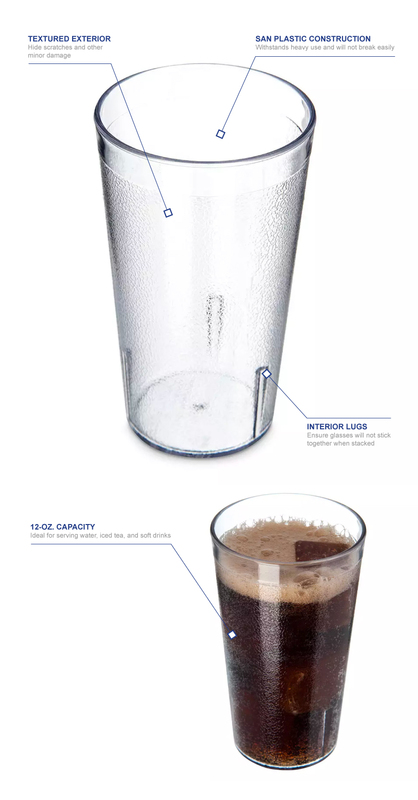 The Carlisle 521207 stackable tumbler is transparent for drink visibility. Customization is available for this tumbler. Please call 1-800-541-8683 for more information. "The glasses are well made and stack very nicely. Great size." "As always , KaTom comes through with a great product. 12oz. glasses are the perfect size both in volume and in hand size."